WOW! This home has it all! Soaring 2 story LR w/floor-to-ceiling stone FP. Eat-in kitchen walks out to private deck. 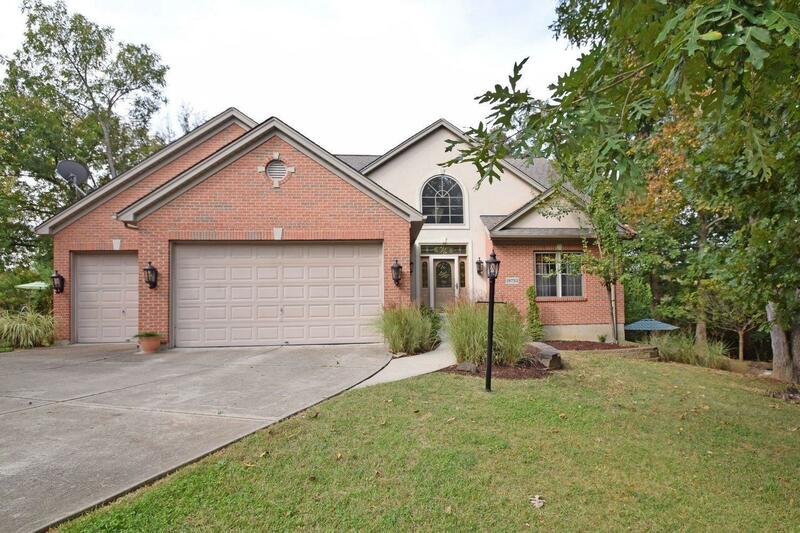 Master bdrm w/adjoining bath & huge 10x19 walk-in closet. 2nd floor loft overlooks living room. LL family room has wet bar w/27 ft countertops-walks out to 2 private patios. 3 car att garage & 32x28 detached garage. All on 3 lots! NOTE: This property was sold on 1/30/2017 and is no longer available. The details listed below are believed accurate to the date of the sale and are subject to change.